There have been times when our canine friend has done something silly like running around in circles trying to catch his own tail. Such a sight makes us giggle and laugh and we enjoy the moment to the fullest. But is it possible for these tables to turn around? 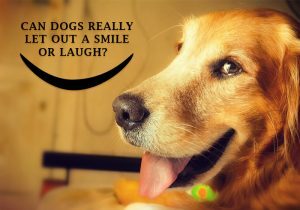 Can dogs really let out a smile or even a laugh? All of those and more have been covered up below. Do Dogs Actually Smile and Laugh? Turns out, they do indeed know how to smile or laugh. The next time your pal fervently wags his tail, carefully watch his facial expression. You may notice your buddy’s jaw opening half-heartedly and his tongue hanging loose over the front teeth. Such a sight is as close to a human smile you’ll get on your dog’s face. Nobel Prize winner and ethnologist, Konrad Lorenz in his book titled “Man Meets Dog” wrote about how he happens to believe that dogs do have the capability and capacity to let out a laugh or two. In his book, he further stated that a dog’s playtime is the most appropriate time to catch a glimpse of your pal letting out a laugh. He also described the sound dogs make while laughing to be of a huffing pant-like laugh. While humans laugh with a “ha-ha-ha” sound, a dog’s laugh is more like the same, just excluding the vowel “a”. Now that you know dogs can smile and laugh, it is essential to know the various reasons why your pal shows excitement and loves a laugh or two. Running around the whole house like a mad hatter from one room to another tells you how excited he is. One of the main reasons for this kind of behavior is to do with his meal time. Your pal may let out a smile and excitement starts kicking in when his meal time nears. Seeing your dog laying on his back and moving to and fro might make you think that it could be due to excessive scratching, but no its not. Such a sight means your dog is either happy or laughing about something. Dogs are clever and highly sensitive to humans. They tend to be comfortable around the ones they know are worth their love and affection. You may see them act weirdly around you because they know you love them and vice versa. A smile or even a laugh comes naturally to them especially when they are around the people they love. Dogs not only know how to laugh and smile but their happy behavior is contagious and can cling on to you, which indeed is a very good sign. Spending more time around your jolly dog not only makes them happy but keeps you in good stead and free from any stress. 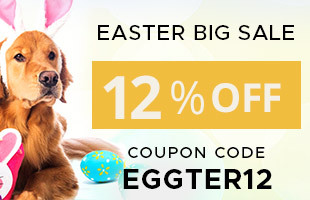 Dogs are certainly a great stress buster and you should make sure to take an utmost care of them.